My general idea consits of a sloth really going for it in the gym, with its protein shake and all. It is however the only sloth to do so, in the background there are other sloths doing what sloths usually do,- having a bit of a nap. I’m really cutting it close this time… work and all keeping me busy, but here’s finally my second milestone. 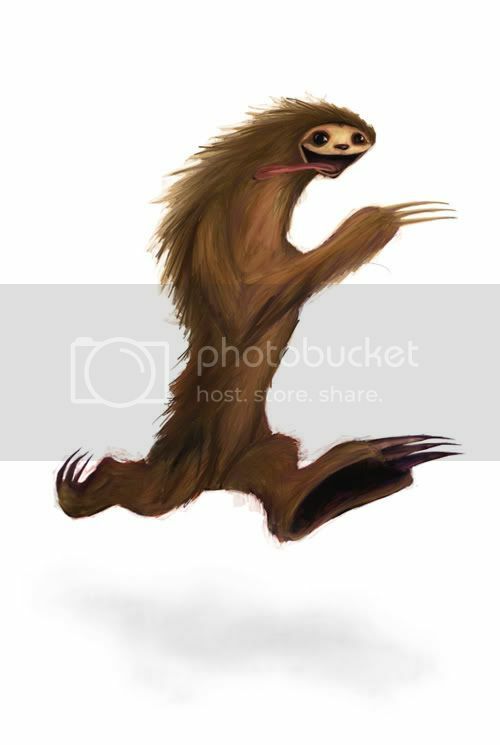 Here’s a model I created of my main sloth. Any critique and feedback is much appreciated, even if it is really late in the game. 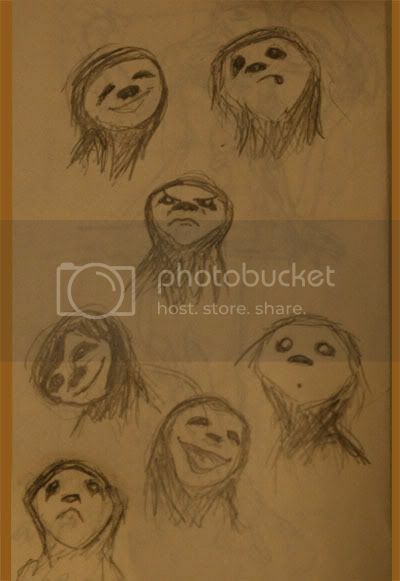 Your version of a sloth is really fun! you should try to have someting done in this las days! Thanks guys ! I will do my best in the time that’s left Am really enjoying this! The model is made of plastecene. I like sculpting my charecters by hand, it makes it easier to get to know them I find. Even if it’s just a rough model. Right, back to the drawing board. Will try to update my progress soon. There is so much more to do, but this is the stage it’s at now anyway. this is my favorite of them. The background for this image is pretty simple. I just got an idea of a totally impossible situation,- A sloth in a gym. Now, the sloth is an incredible interesting creature. Its maximum speed is about 250 meters an hour, truely fascinating creatures! 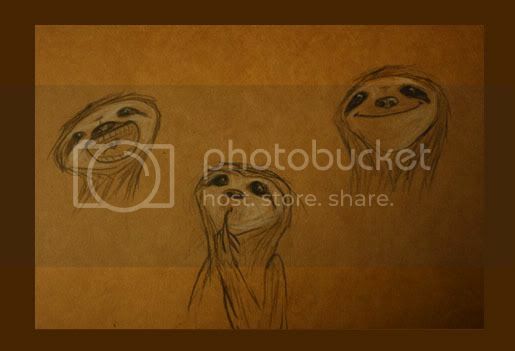 So here’s my unsloth sloth! Hey Randi, hahahahah really great and fun image!! 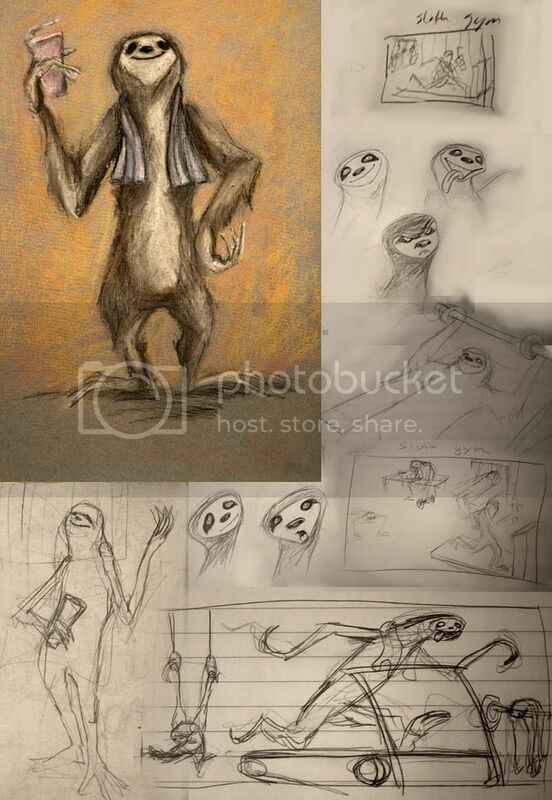 I like a lot your concept on a sloth!! cool mate!! The expression and the dynamic runnung pose is excellent! Congratulations for this great concept and good luck ! Cheers mate! Thanks Ferx, I’m glad it made you chuckle. Cheers for the feedback, that is always welcome, as is critique! I had a lot of fun working on this piece, it’s been a long time since I’m completed a picture! More importantly I’m happy about all the stuff I learned in the process, I discovered I knew less about art than I thought, and that it took a LOT longer than expected to do it, but completing it helped me a bit along, and has really boosted my inspiration and made me keen on producing more images. This was my very first post on this forum, which has always been a bit intimidating as it’s packed with sooo many talented people, (though this of course makes it all the more inspirational)! Quite hilarious!! Very nice work my friend! You have me best wishes!